Christchurch City Libraries has just released our list of the most popular kids books of 2013. In the Top Ten there are only 4 different authors. 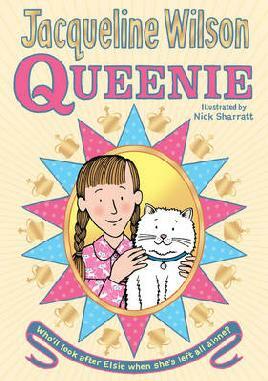 Jacqueline Wilson has one book on the list – Queenie at #8. 1953, England. Elizabeth is to be crowned Queen of England, but Elsie Kettle and her grandmother both fall ill with tuberculosis. Elsie is whisked away to a hospital where she is confined to bed for months and misses her beloved Nan desperately. However, in the hospital she makes friends, including Queenie, the hospital’s majestic white cat. Read some more posts about Jacqueline Wilson on our blog. J.K. Rowling has one book on the list, and it’s a classic – Harry Potter and The Philosopher’s Stone at #9. It’s been 17 years since this came out and it’s still going strong! J.K Rowling has recently said she will write a play and another book about the Harry Potter universe. Jeff Kinney has THREE books on the Top Ten list this year. The Last Straw at #10, Dog Days at #6 and at #1 – The Third Wheel! The Diary of a Wimpy Kid series is the hilarious story of Greg’s life at school and home. The funny words are matched up well with some VERY funny pictures. If these books don’t make you laugh out loud, you don’t have a funny bone! Read some more posts about Jeff Kinney on our blog here. The author with the most books on our Top Ten list is Rick Riordan! HALF of the books on the Top Ten list are by this awesome author who writes the Percy Jackson series. These exciting books have sold over 20 million copies and the third film in the series is due out in 2015. 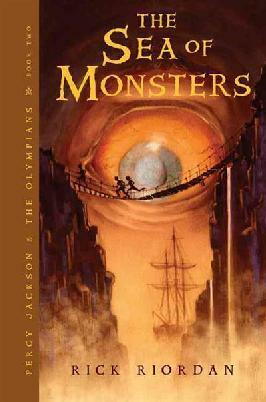 You can read more about Rick Riordan by looking at posts on our blog about him. They have no choice. If the demigods don’t succeed, Gaea’s armies will never die. They have no time. In about a month, the Romans will march on Camp Half-Blood. The House of Hades, the conclusion to the Heroes of Olympus series by Rick Riordan, is due out next month. Reserve your copy from the library now. The Serpent’s Shadow, the final book in Rick Riordan’s Kane Chronicles is out now. You can reserve your copy at the library. If you haven’t read this amazing series, featuring Egyptian gods and monsters, get the first book The Red Pyramid. The Son of Neptune is the latest book in the Heroes of Olympus series by Rick Riordan. 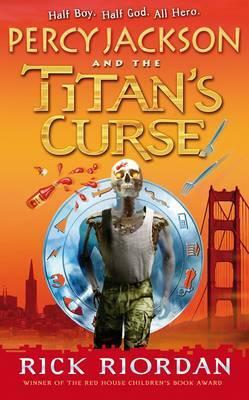 If you loved the Percy Jackson series you’ll love this new series with new demigods and mythical creatures. Percy Jackson even makes an appearance in The Son of Neptune. Reserve your copy now at the library or at home on the library catalogue. Percy Jackson and the Lightning Thief, by Rick Riordan. This book is the first in the series. It is about a boy called Percy whose life changes after he goes to a summer home away from his stepfather Gabe. He then finds out he’s a half-blood! So he’s half boy, half god, but all hero! I absolutely love the Percy Jackson series, to me he’s the best author ever! I recommend this book to people who like mythology and sword fights with monsters and some interesting twists towards the end. Can Percy find the lightning bolt before a fully fledged war of the Gods erupts? “When Jason, Piper and Leo crash-land at Camp Half-Blood, they have no idea what to expect. Apparently this is the only safe place for children of the Greek Gods – despite the monsters roaming the woods and demigods practising archery with flaming arrows and explosives. But rumours of a terrible curse – and a missing hero – are flying around camp. It seems Jason, Piper and Leo are the chosen ones to embark on a terrifying new quest, which they must complete by the winter solstice. In just four days time. Reserve your copy now to be one of the first to read The Lost Hero. 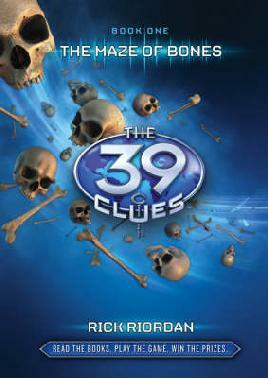 I have read the 39 clues-The Maze of Bones it is a very exiting book that you would not want to put the book down. It is about two children named Amy and Dan Cahill, their grandma had died and they have to choose between 1 million dollars or a clue!